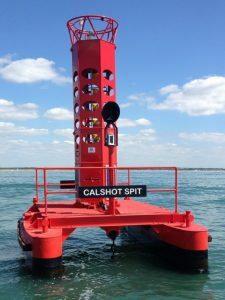 A Gill Instruments supplied weather station on the Solent – Calshot Spit Light Float – now has the OceanWise’ data telemetry system which is transmitting accurate real-time weather data direct from the light float to the OceanWise Environmental Data Sharing and Publishing platform, Port-Log.net. 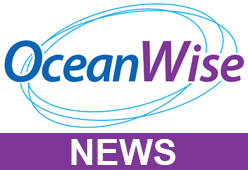 The OceanWise system, which has a proven track record in delivering robust and cost-effective solutions to Ports and Renewable Energy companies, will deliver free weather data as part of a joint effort made possible by those involved; Light Float owners Associated British Ports (ABP), the weather station and sensor provider Gill Instruments and Hydrosphere who provide installation and maintenance. This truly collaborative project delivers weather data and makes it freely accessible, which along with the other data available from the wider area, is highly beneficial to both commercial and leisure users in the Solent. The data can be accessed using a shared web browser by anyone and is published in an easy-to-use format. It can also be ingested into third party applications (with permission from OceanWise). The website also incorporates tide station data from Bramble Beacon which is also owned and operated by ABP. Visit the real-time data feeds from the data buoys in the Solent.